Extra-large escargots Helix prepared in garlic butter and frozen in shells. 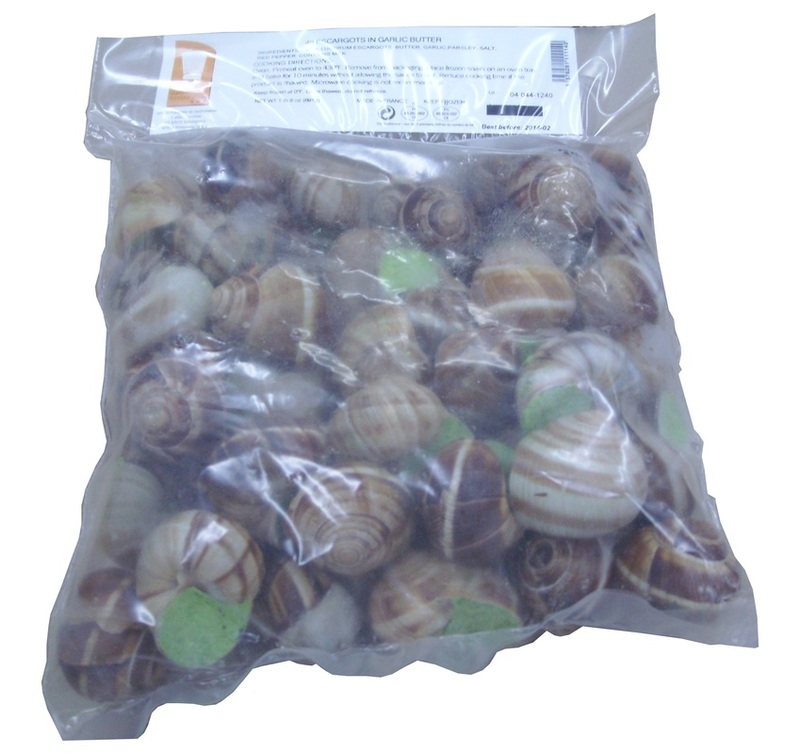 The choice of the best ingredients, all selected for their original savor, gives to those snails their freshness and their smoothness of taste. This dish is really appreciated by the gourmets all around the world. Helix Lucorum escargots; Butter; Garlic; Parsley; Salt; Red Pepper. Those snails can be served as a starter or as the main course, with bread, and a Burgundy wine or any other good wine. Size (in): L 15.0'' x 15.0" x H 6.8"